The Texas Tribune will report a story on why, after billions of dollars and decades of trying, some residents of borderland Texas cannot still don’t have reliable drinking water. Environmental reporter Neena Satija and demographics reporter Alexa Ura will investigate and report the story thanks to crowdfunding on the site Beacon Reader. The project hit its $3,000 funding goal Monday. To hear why they think the project is worth pursuing watch this video on the Undrinkable project page. 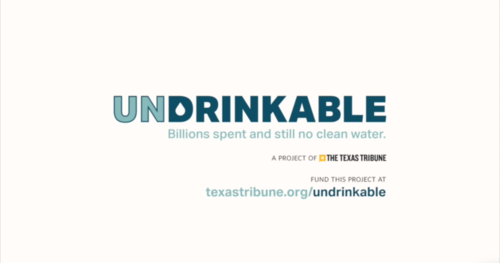 Undrinkable is Texas Tribune’s second crowdfunding project on Beacon Reader. 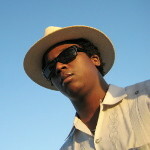 The Shale Life Project, published late last year, documented the impact of an oil boom Texas has seen in recent years. Unlike the Shale Life Project, Undrinkable is a week-long campaign. The Texas Tribune is widely considered the most successful nonprofit online news outlets in the United States.